Turneaureite: Mineral information, data and localities. Named in 1985 by Pete J. Dunn, Erich Ulrich Petersen, and Donald Ralph Peacor in honor of Dr. Frederick Stewart Turneaure [June 22, 1899 Madison, Dane County, Wisconsin, USA – August 29, 1986 Ann Arbor, Washtenaw County, Michigan, USA], ore deposits geologist in Bolivia (1930-1947), later Professor of Geology (1947-1994), University of Michigan, Ann Arbor, Michigan, USA. 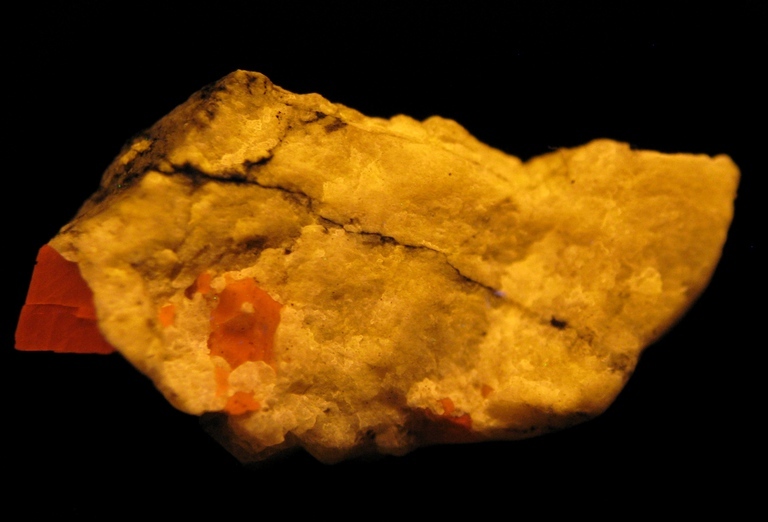 A member of the Apatite Group of the Apatite Supergroup. The arsenate analogue of Chlorapatite. The Ca5 analogue of Hedyphane. The Cl analogue of Johnbaumite and Svabite. Calcite 8 photos of Turneaureite associated with Calcite on mindat.org. Franklinite 3 photos of Turneaureite associated with Franklinite on mindat.org. Donpeacorite 2 photos of Turneaureite associated with Donpeacorite on mindat.org. Andradite 1 photo of Turneaureite associated with Andradite on mindat.org. 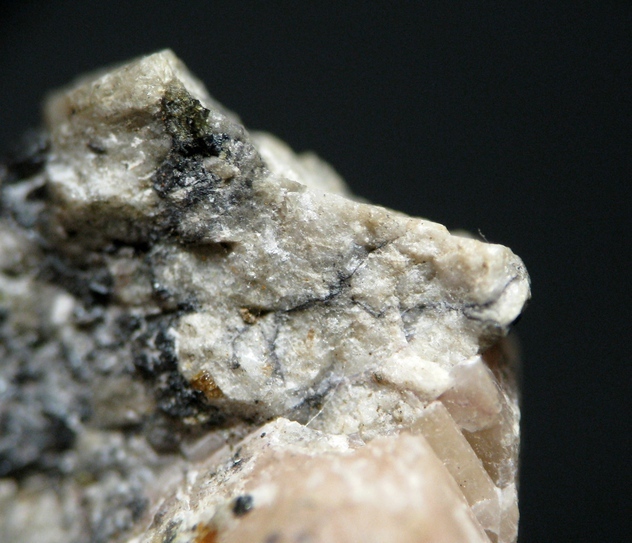 Magnetite 1 photo of Turneaureite associated with Magnetite on mindat.org. 8.BN.05 Carbonate-rich Fluorapatite Ca5(PO4,CO3)3(F,O) Hex. 8.BN.05 Carbonate-rich Hydroxylapatite Ca5(PO4,CO3)3(OH,O) Hex. American Mineralogist (1986): 71: 1280. Cristian Biagioni, Ferdinando Bosi, Ulf Hålenius, Marco Pasero (2017): The crystal structure of turneaureite, Ca5(AsO4)3Cl, the arsenate analog of chlorapatite, and its relationships with the arsenate apatites johnbaumite and svabite. American Mineralogist, 102, 1981-1986. Ciobanu, C.L., and Cook, N.J. (2004): Skarn textures and a case study:the Ocna de Fier-Dognecea orefield, Banat, Romania. - Ore Geology Reviews 24, 315-370. Kasatkin, A.V., Makovicky, E., Plášil, J., Škoda, R., Agakhanov, A.A, Karpenko, V.Y. and Nestola, F. (2018) Tsygankoite, Mn8Tl8Hg2(Sb21Pb2Tl)S24S48, a New Sulfosalt from the Vorontsovskoe Gold Deposit, Northern Urals, Russia. 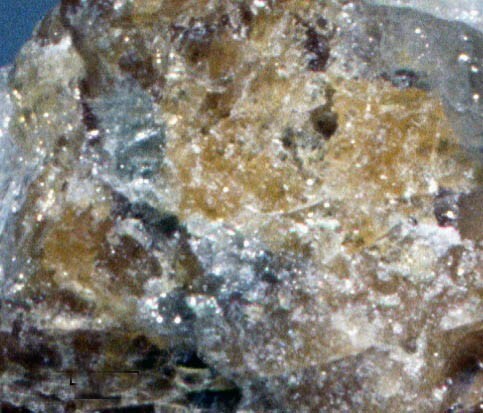 Minerals: 8(5): 218. Dunn, P.J., et al: Canadian Mineralogist:23:251-254 (1985); Dunn(1995):Pt5:653. Dunn, P.J., et al (1985) Canadian Mineralogist: 23: 251-254.